Hello, my name is Tina Shonborn and I work for the Logan Hocking School District. 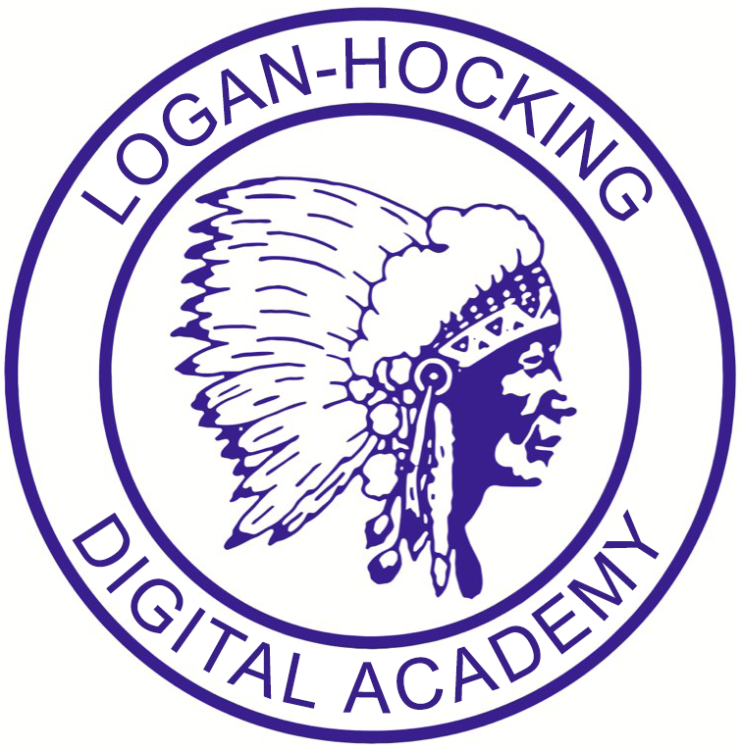 I am the Elementary Digital Academy teacher. Our district, along with myself, believe strongly in the education of the children in Hocking County. Therefore, we have developed a program for students who have not wanted to participate in the “traditional” classroom setting. Our district would like to invite you to an informational meeting that will describe our program in detail to you. We will discuss with you the requirements of the program such as hours/assignments needed to complete the program successfully as well as the program we use to accomplish the goals we expect the students to achieve. There will be time allotted for questions at the end. Attending the meeting does not obligate you in anyway to enroll your child. Please try to attend to learn a little more about our program. You will find that we offer a better, more comprehensive digital program than that of most online schools. 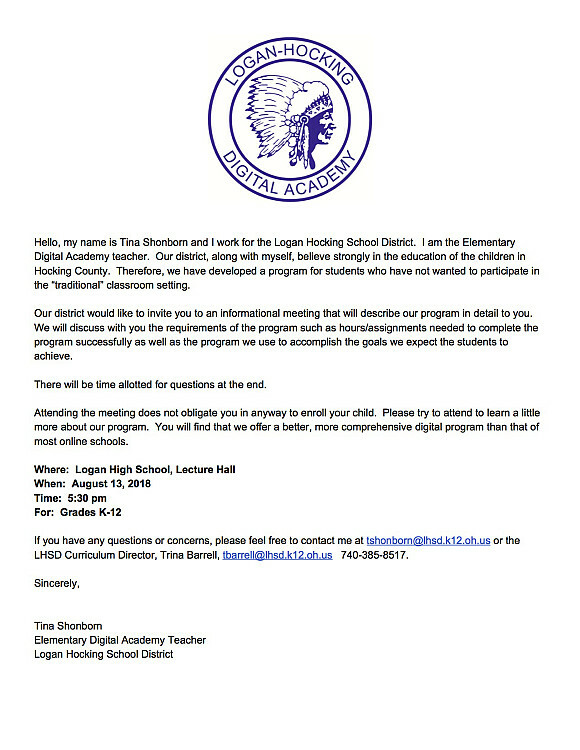 If you have any questions or concerns, please feel free to contact me at tshonborn@lhsd.k12.oh.us or the LHSD Curriculum Director, Trina Barrell, tbarrell@lhsd.k12.oh.us 740-385-8517.